Kleen Test Products will have representatives at the Private Label Manufacturing Association’s Trade Show in Chicago, November 11-13, 2018. If you’d like to meet with one of our Innovation Specialists, please contact us. We look forward to the PLMA’s U.S. Private Label Trade Show in Chicago each November. 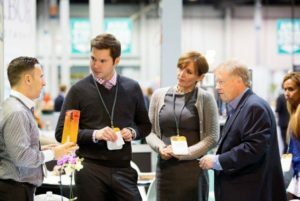 The sales and new product specialists at Kleen Test enjoy collaborating with buyers from all major supermarkets, supercenters, drug chains, mass merchandisers, convenience stores, online retailers, importers, exporters, wholesalers, discounters, and even military exchanges during the show.